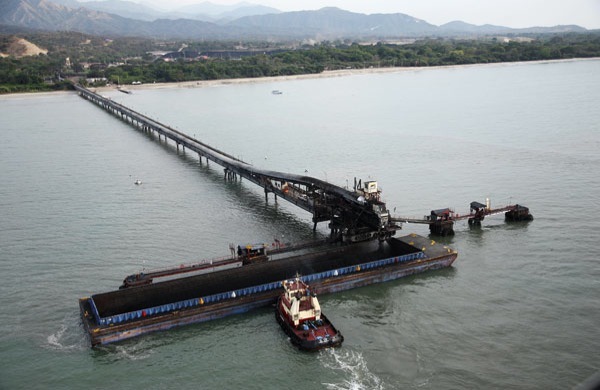 After close to three months of not being allowed exporting any coal from its Colombian mines, US-based Drummond Co is hours away from resuming shipments from its Cienaga port, on the Caribbean Sea. According to El Colombiano (in Spanish), the country’s environmental regulator (ANLA) has already inspected the new installations that Drummond, the world's fourth coal exporter, was forced to build in order to comply with tighter environmental laws that went into effect in January this year. As a result of the 76 days of inactivity, the miner —Colombia’s second largest coal producer— has lost close to US$420 million in revenue and cut its production forecast for 2014 to 25 million tonnes, down from a previous forecast of 30 million tonnes. The company produces around one third of Colombia's annual coal output. Coal shipments, in turn, account for 12% of the Colombia's total exports, placing them second to oil, which makes up 40% of all exports. Exports of the commodity now outpace the South American country's better-known products, such as coffee and bananas. Some of the world's top mining companies have operations in Colombia, including Anglo American (LON:AAL) and BHP Billiton (ASX:BHP), which jointly own Cerrejón, the country's largest coal producer. Image courtesy of Drummond Ltd.